Super Eagles captain, John Obi Mikel, has backed Gareth Southgate’s England team to challenge for the World Cup this summer in Russia. The former Chelsea midfielder was left impressed by England’s performance in their 2-1 win over the Super Eagles on Saturday night at Wembley. Goals from Gary Cahill and captain Harry Kane were enough to begin preparations for Russia with a win, though Alex Iwobi pulled one back for the visitors to deny England a clean sheet. 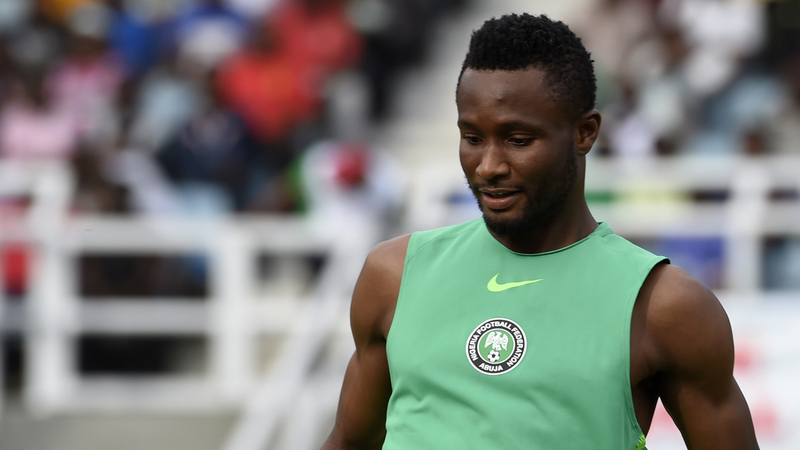 On account of what he saw, Mikel believes England “have a good chance” of going all the way in Russia. “I think they have a very good chance of going all the way because the youthfulness and energy in this team… you can feel it,” he said. Nigeria were completely outplayed by England in the first half but reacted after the interval through Iwobi before making their opponents work for the win. The Super Eagles, who are in Group D alongside Argentina, Iceland and Croatia, are aiming to go further than the round of 16 that they reached in Brazil four years ago.